In a constantly changing environment, understanding the world around us is essential for making qualified decisions. Internet provides instant access to almost endless information and data. 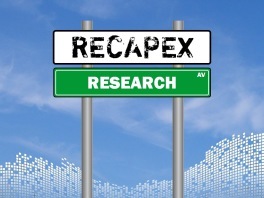 RECAPEX works closely with a strong global network of digital experts and we continually invest in our own research. Analysing and understanding data is a key competitive advantage for all organisations. How good are you versus your peers when it comes to using of digital technologies? Should you grow your idea, company or team through partners or do it yourself? Who are my future competitors, that aren’t visible to me today? Who are the entrepreneurs that make things happen and what are they working on? Our network combined with our experience, allows the RECAPEX team to analyse our research and map the landscape of brilliant ideas, great entrepreneurs, successful companies and the investors that make a difference.